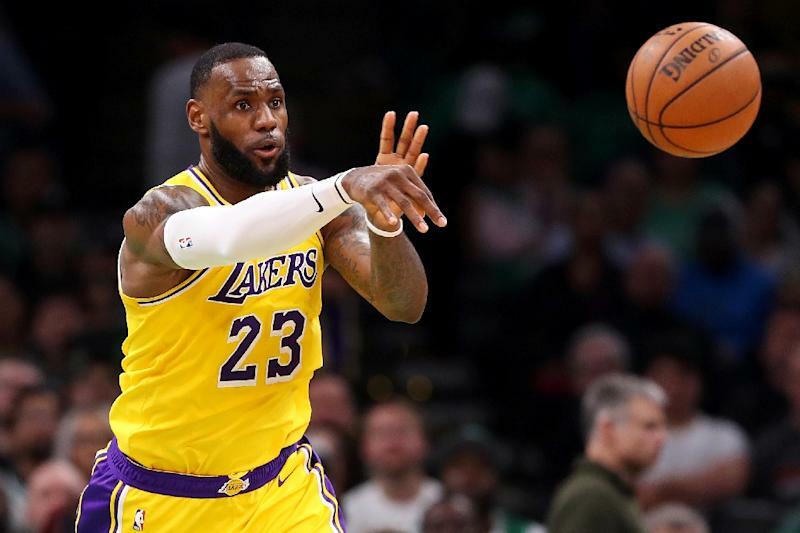 Los Angeles (AFP) - There will be no Hollywood ending to LeBron James's first season in Los Angeles, and with his streak of 13 straight NBA playoff appearances doomed, he and the Lakers are focused on fashioning a blockbuster sequel. D'Angelo Russell scored 21 points and 13 assists against his former team as the Lakers were officially eliminated from playoff contention after the Brooklyn Nets beat them 111-106 on Friday. It's the end of an era in the NBA. Not only had James reached the playoffs for 13 consecutive seasons with the Cleveland Cavaliers and Miami Heat, he had played in eight straight NBA finals. He averaged 30.8 points in his first run through the post-season back in 2006 and led the Cavaliers through a seven-game Eastern Conference finals clash with the Boston Celtics last year to reach the NBA finals last season. Only three players have played in more successive title series than James: Bill Russell in 10 and Sam Jones and Tom Heinsohn both in nine -- all playing for the 1960s Boston Celtics dynasty. But James -- a three-time NBA champion and four-time league Most Valuable Player -- insisted back in September after he opted to join the storied but struggling Lakers as a free agent that the task of rebuilding a team that had missed the playoffs for five straight seasons would be a long-term project. Early season success was followed by a string of setbacks: James's own groin injury that sidelined him all of January, teammate Lonzo Ball's sprained ankle, Lance Stephenson's sprained toe and Brandon Ingram's blood clot, not to mention the turmoil that surrounded the Lakers' failed pursuit of New Orleans Pelicans star Anthony Davis. A season sweep by the league-worst New York Knicks is just one low point of a Lakers season that has spawned questions over head coach Luke Walton's job security and what changes the team must make to turn things around next season. "Obviously, I would love for the team to be in the post-season," James said as the playoff prospects dwindled. "But right now, it's not the hand I was dealt, so you play the hand that you were dealt until the dealer shuffles the cards and you're dealt another hand and can do that." Lakers president Magic Johnson and general manager Rob Pelinka will need to make the offseason moves necessary to get the most out of the remaining three years on James's contract. The Lakers have salary cap space to target at least one big name to share the load with James. Although their bid to grab Davis by the trade deadline was fruitless, there's a new front office in place in New Orleans that could revive the possibility that he'd land in Los Angeles. Then there's the free agent market, which could include current Golden State star Kevin Durant, Warriors teammate Kay Thompson and Toronto's Kawhi Leonard. "We have an opportunity to get better," James said. "And that's something that is definitely great to know -- that we have an opportunity to get better from a personnel standpoint."